Around here, we can’t get enough coffee. We live on the stuff… It’s safe to say we are coffee addicts! 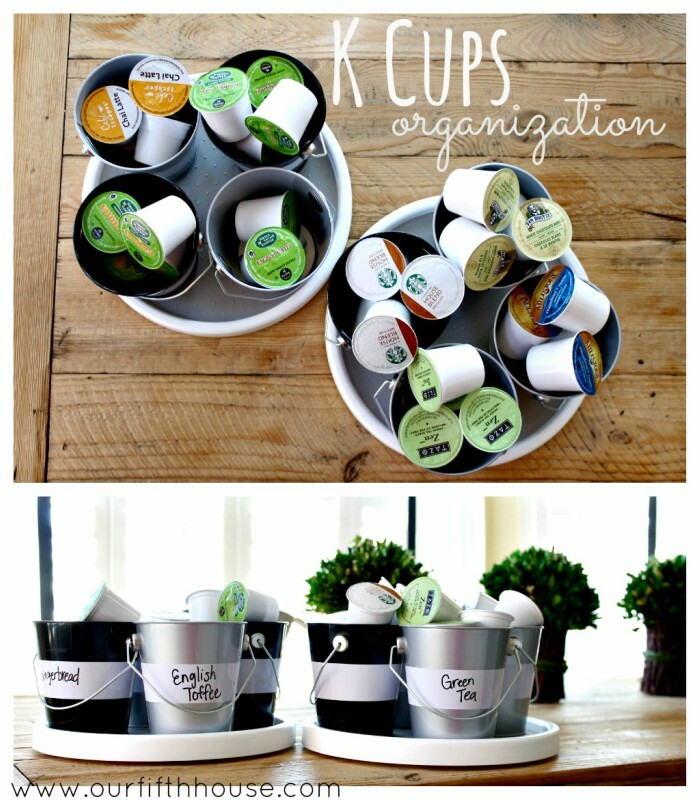 So if you have a collection of k-cups and coffee pods and don’t know how to organize and sort them, we’ve found some terrific ideas for you! 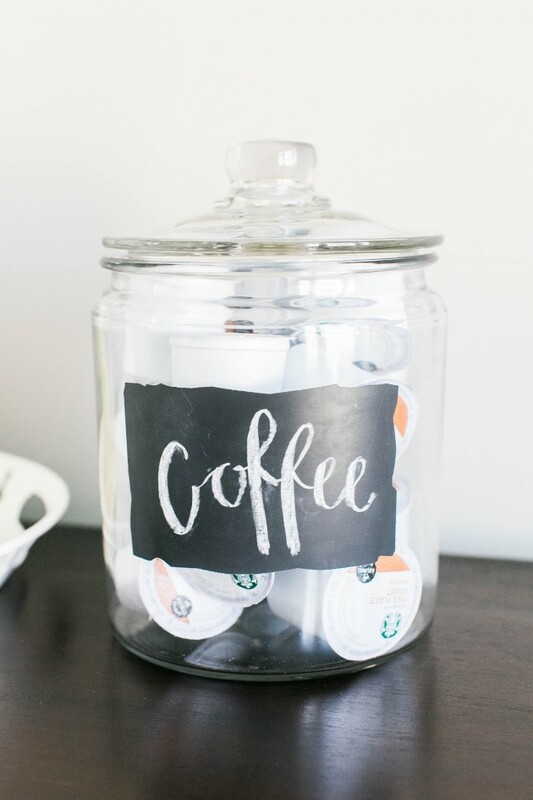 Add a chalkboard label to a pretty jar to store your coffee pods. You may want to consider a jar for each of your favorite flavors. They’re attractive and functional! Use a tiered stand or make one of your own! 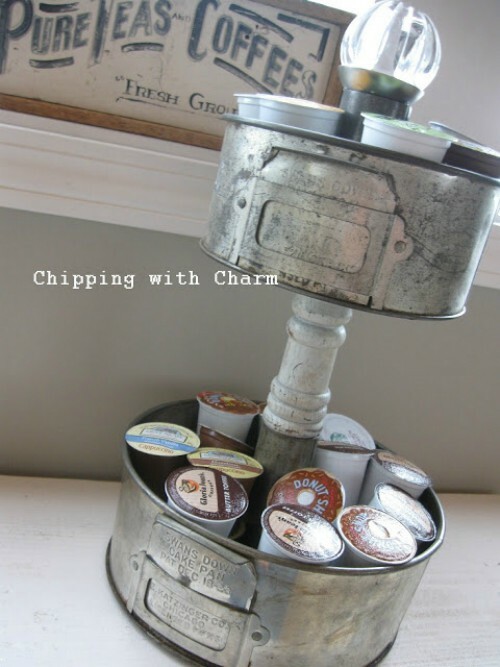 This DIY tiered stand was made using old cake pans and a stool leg. 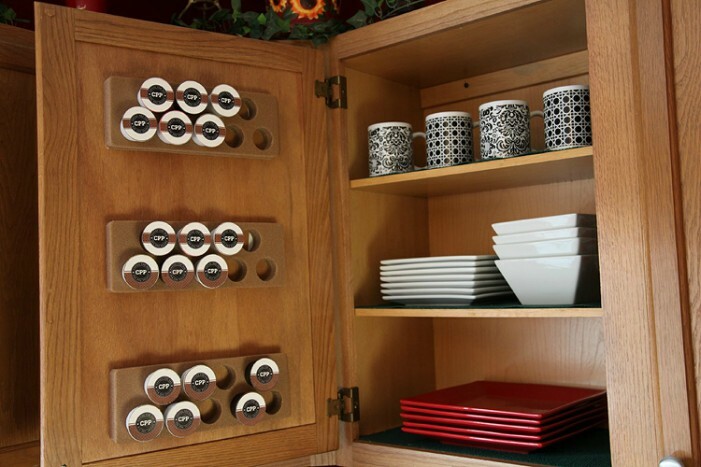 Put dry erase mini buckets on a lazy susan to have a variety of flavors at your fingertips. Perfect for those of you who like to rotate through several flavors regularly. 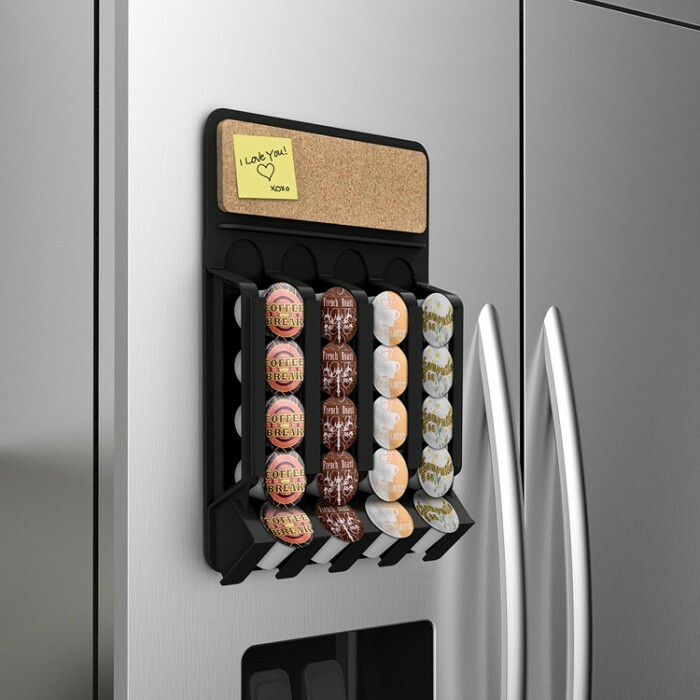 Hang this coffee pod dispenser on your fridge! With a cork board on top, you can stick reminders up there when you run out of your favorite flavors. 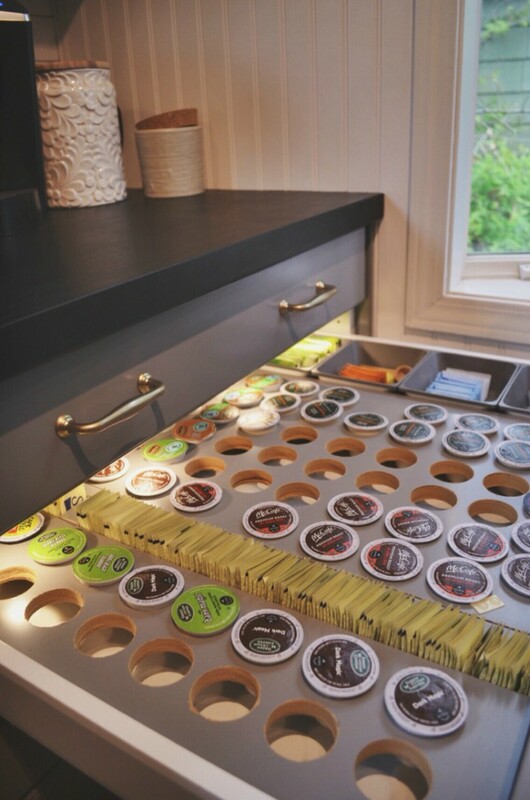 Keep a small stash in the drawer near your Keurig in a cutlery organizer; they’re so neat and tidy. You can store the rest in a plastic bin in the pantry. 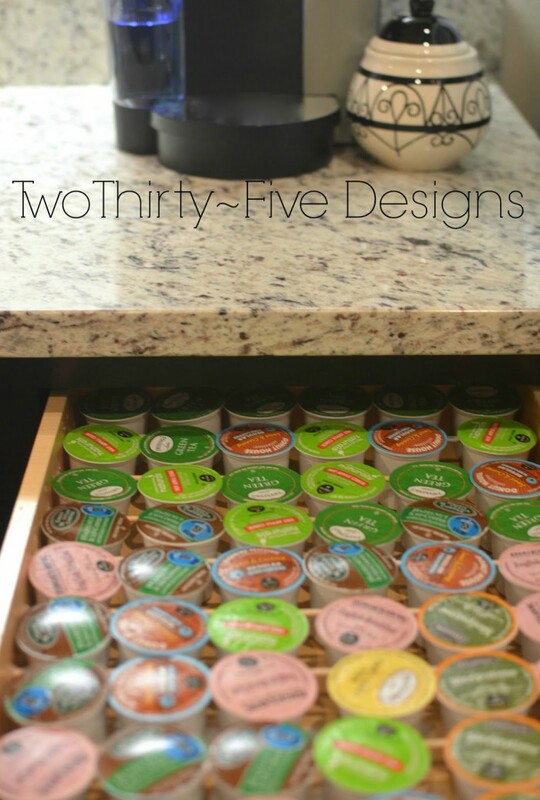 Another in-drawer storage option is to use dowels to keep the k-cups in a nice, tidy row. 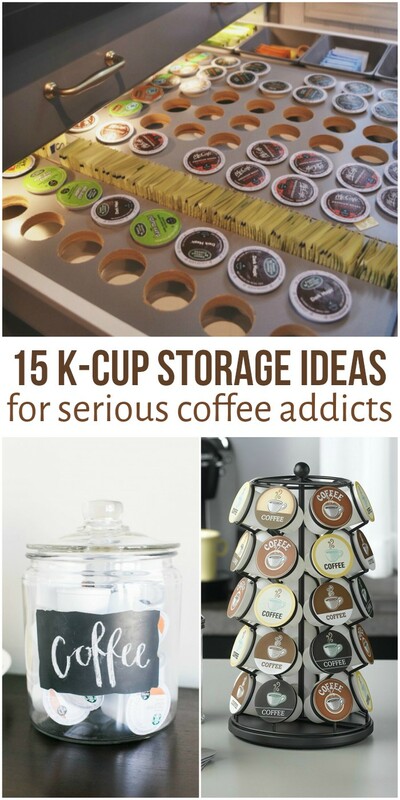 Hot glue the dowels in, and then place your coffee pods. Easy peasy. 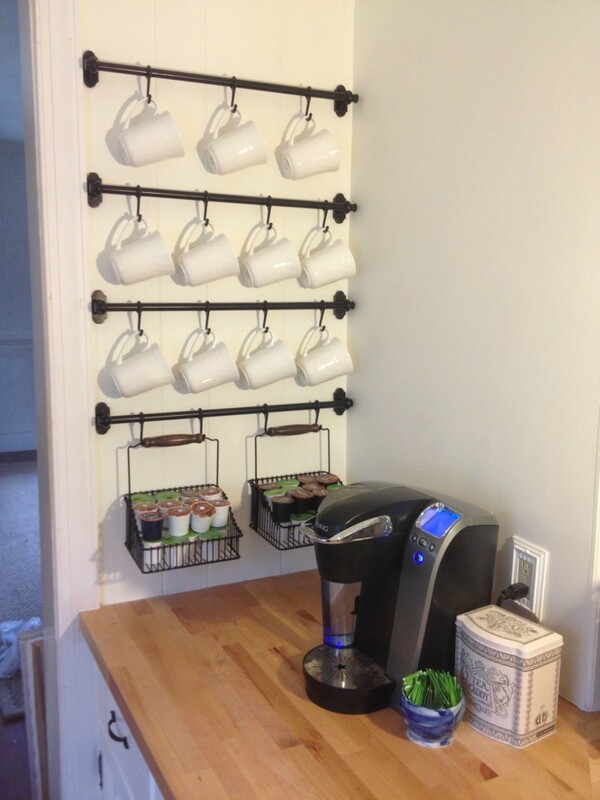 Make a coffee nook with all your coffee mugs and k-cups. 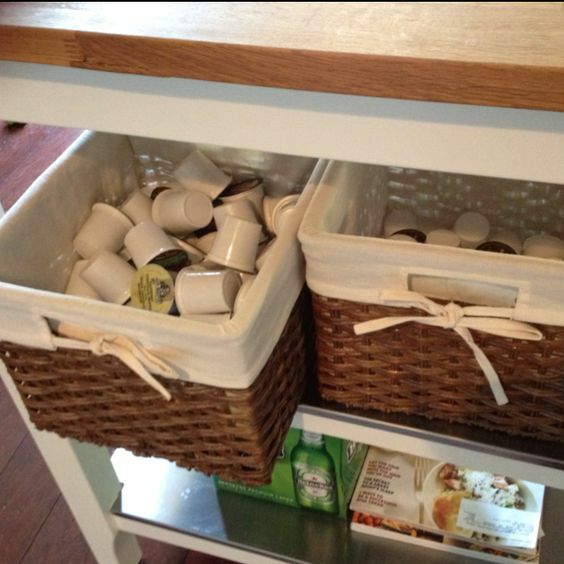 They used hooks and rails from IKEA and added baskets at the bottom for the coffee pods. 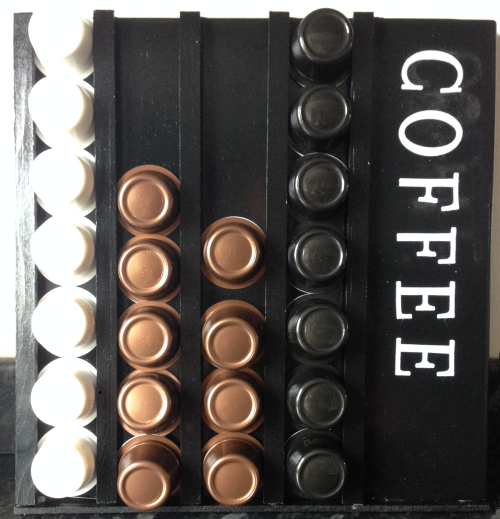 This DIY coffee pod storage idea can be easily customized to be bigger or smaller. 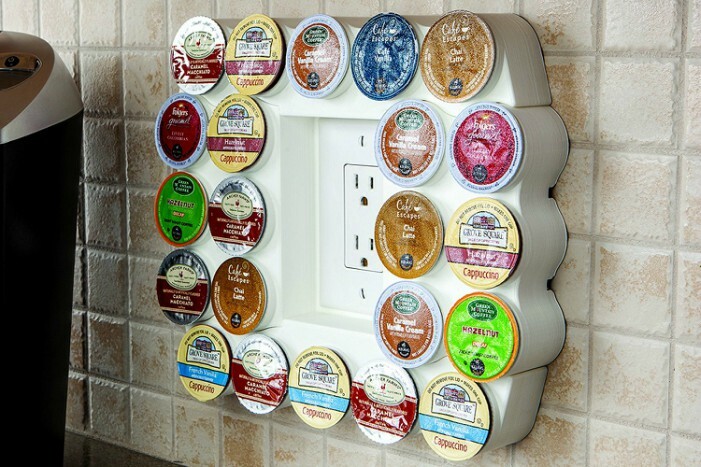 You can even add a slot or two for your favorite creamers. 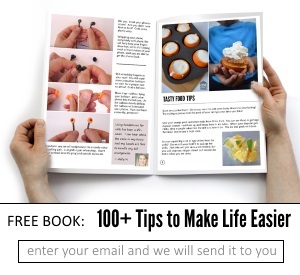 Don’t have time to DIY a solution? 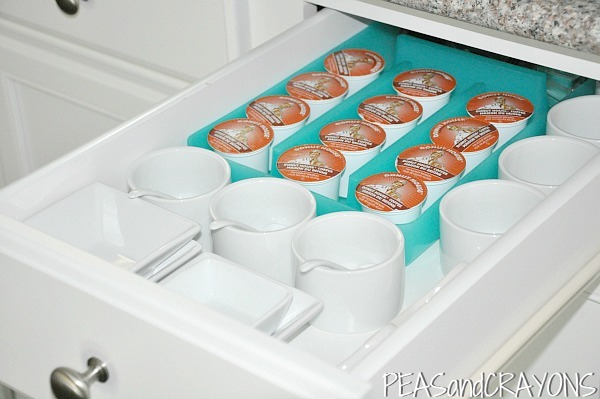 Get some of these coffee pod pads to install inside a cabinet door. 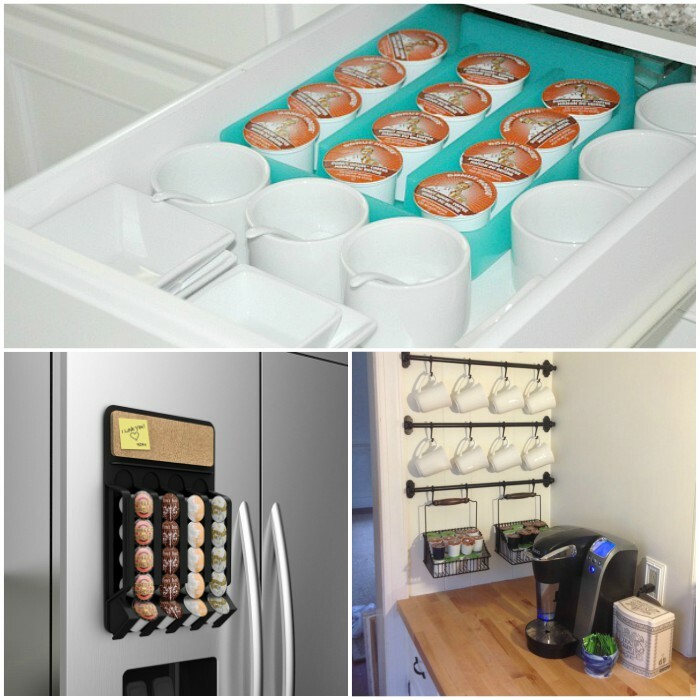 This frees up drawer and counter space. 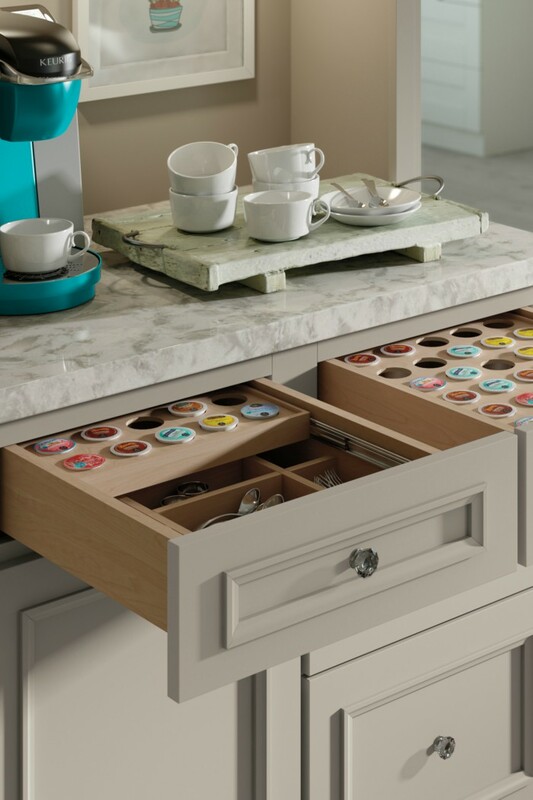 If you’re building your dream kitchen, go ahead and spring for these cabinets with built-in k-cup storage drawers. They’re gorgeous! 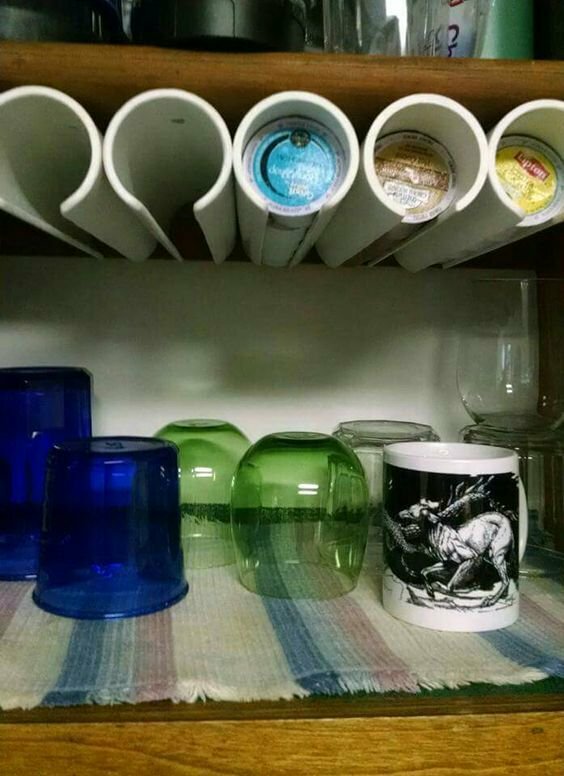 Install PVC pipe under the cabinet to slide your favorite flavors into. What a clever use of piping! 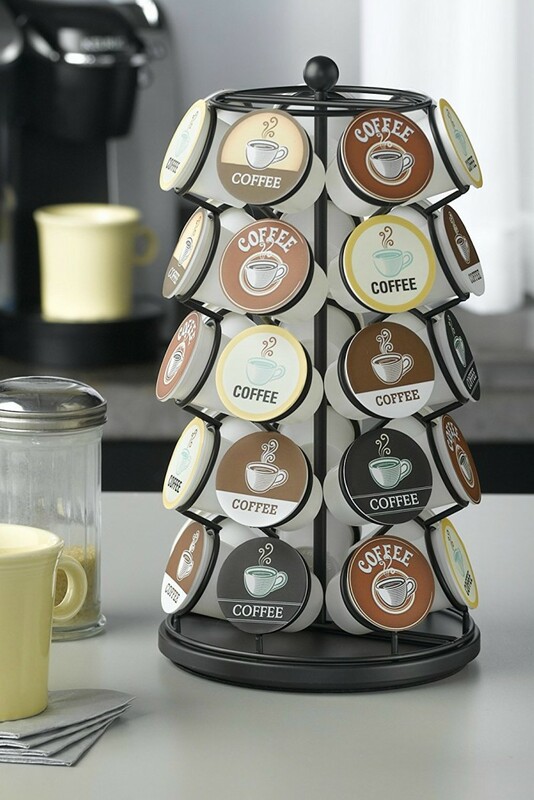 This K-cup carousel is one of my favorites. Sit it on the counter or tuck it away in a cabinet if you want to keep your countertops clutter free. This cafe wall caddy that goes around an outlet was one of the more unusual ideas we found. But you know what… we kind of dig it!